A clear glass jar with glass top, hand painted pretty! 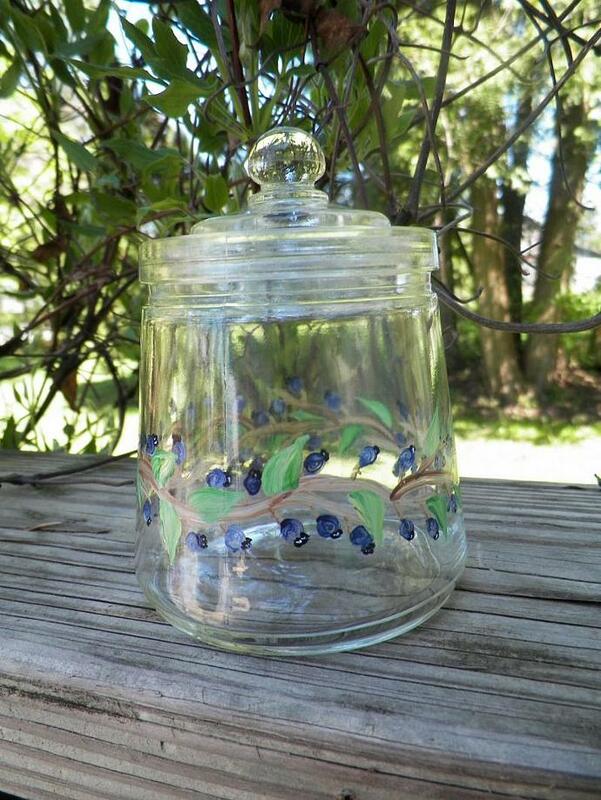 A blueberry vine has been painted all around this jar bottom. With beautiful blueberries & green leaves all over it. You will love setting this jar on your counter or table filled with something special. Maybe some granola, nuts, candies or something non-food. What would you like to fill it with? It is approx. 4 1/4" H(including top) x 3 1/4" W at bottom, the enamel acrylic paint has been baked on & may be hand washed!! Thanks for stopping in, please come by again!